Here’s the Prezi I have used the last few years to keep myself on track for freshmen orientation. Not terrible, but by the end of the first two weeks of school, I was so TIRED of talking and found it practically impossible to keep things fresh and interesting. This year I decided to let the freshmen do their own orientations with a little help from Google Forms, QR codes, Animoto, Adobe Voice and some upperclassmen. I created a Google Form for the students to record their answers. We made videos with Animoto or Adobe Voice to answer all the questions on the Orientation Form. 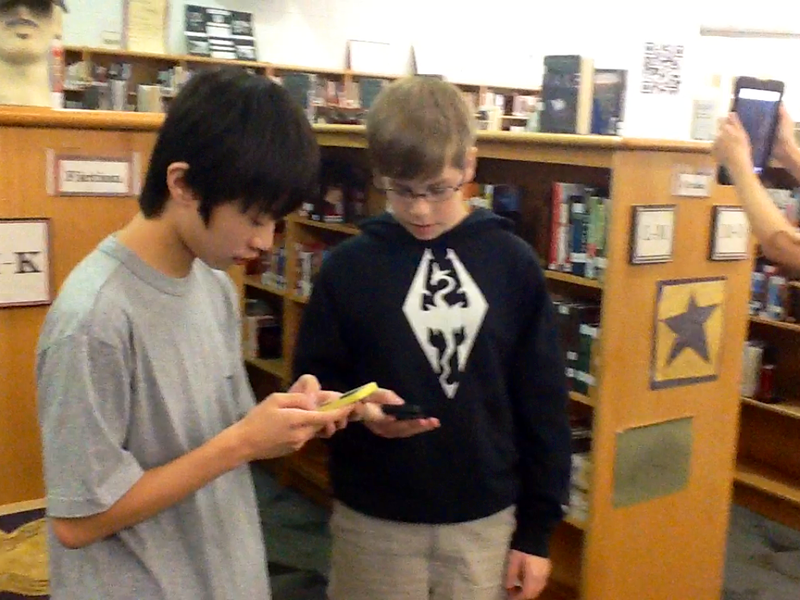 We created QR Codes to take the students to the videos and placed them all around the media center. Students used their own mobile devices or school iPads to scan the QR codes and fill out the Google Form. I was able to quickly check for understanding and remediate as needed. 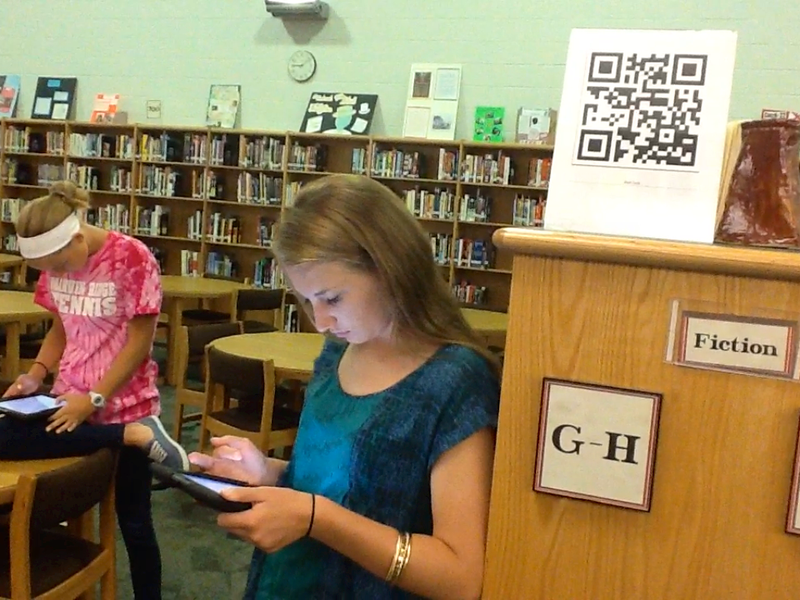 Google Forms + QR Codes + Animoto + Adobe Voice = a better orientation for all students and a happy librarian!